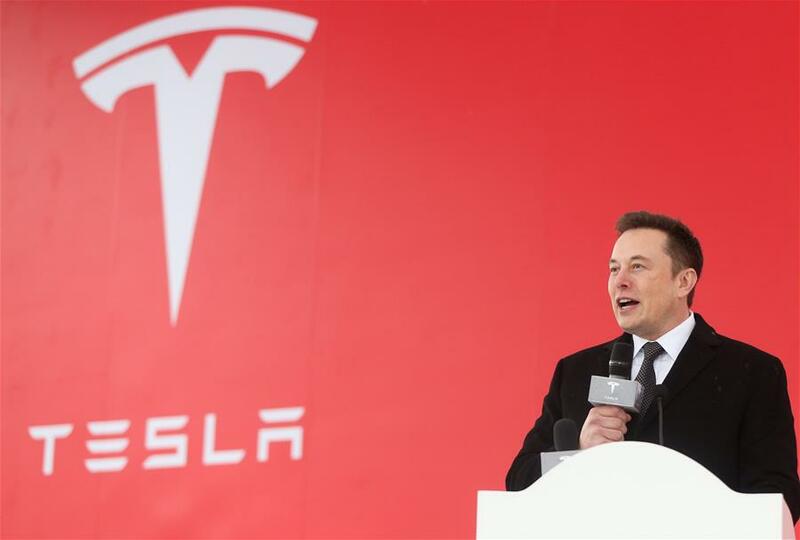 U.S. electric carmaker Tesla Inc. on Monday broke new ground with its Shanghai factory, becoming the first to benefit from a new policy allowing foreign carmakers to set up wholly-owned subsidiaries in China. The new plant, Tesla's first outside the United States, is located in Lingang Area, a high-end manufacturing park in the southeast harbor of Shanghai. It has an annual producing capacity of 500,000 electric cars. Tesla signed the agreement with the Shanghai municipal government in July 2018 to build the factory. In October, the company was approved to use an 864,885-square-meter tract of land in Lingang for its Shanghai plant. Tesla CEO Elon Musk and Shanghai government officials attended the groundbreaking ceremony on Monday. "This will be the most advanced Tesla gigafactory," Musk said. "With resources here, we are able to build this factory in record time, and we are hoping to have initial production of Tesla Model 3 toward the end of the year and volume production next year." The Tesla factory, with an investment of over 50 billion yuan (7 billion U.S. dollars), is the largest foreign-invested manufacturing project in Shanghai's history. Tesla brought its Model S, Model X and Model 3 to the China International Import Expo held in November 2018 in Shanghai, aiming to reinforce its presence in the world's largest market for electric cars. Tesla delivered 245,240 cars in 2018 worldwide, including 145,846 Model 3. China set a milestone record of selling 1 million new energy vehicles (NEVs) in 2018. The country aims to double the sales to 2 million in 2020. The production at the Shanghai plant will help Tesla significantly lower its cost and prices, giving it more edge in the market competition. Model 3, for example, which starts at a price of 35,000 dollars in the U.S. market, is sold between 500,000 yuan and 560,000 yuan (around 72,980 and 81,738 dollars) in China. After Tesla starts production of the model in China, the price of the car is expected to be much lower. "We will be making affordable versions of the Model 3 and Model Y respectively. The expensive ones will still be made in the United States," Musk said. Tesla has tapped into China's growing mainstream electric car market and established its charging network covering most cities in the country's developed regions, such as the Yangtze River Delta in east China and the Pearl River Delta in the south. Over the past six years, Tesla has built over 1,500 Supercharging stations for charging from home and 1,850 Destination Charging stations for charging on the road in China as it expands its network. The company set up in October 2018 its first overseas R&D innovation center in Beijing, with focus on areas such as software and hardware development, localization, China and Asia-Pacific data analysis, intelligent connected vehicles and charging technology. "In the past five years, Tesla has witnessed Chinese car consumers' growing awareness for environmental protection," said Robin Ren, Tesla's vice president of Global Sales and Service. Shen Yuxiang, a Tesla user, drives the car shuttling between Shanghai and Hangzhou, capital city of neighboring Zhejiang Province, every weekend. Shen said he enjoys the 200 km ride as the car has no engine noise and boasts powerful acceleration. "Tesla's China production will have a 'catfish effect' in the country's auto industry, pushing domestic carmakers to speed up their technological upgrading," said Cui Dongshu, secretary general of the China Passenger Car Association. When Tesla's plant in Shanghai starts volume production in 2020, the China-made Tesla cars will play fair with Chinese automakers, as China is scheduled to eliminate various government subsidies on NEVs by that year, Cui said. However, Chinese automakers are not afraid of being edged out by the new-comer. Jin Guoqing, deputy director of the automotive dynamics research institute of Chang'an Automobile, said his company has accumulated years of experience in R&D and quality control. In the meantime, it has different price positioning, targeting different customers from those of Tesla. "We shall amplify our advantages to the most," Jin said. 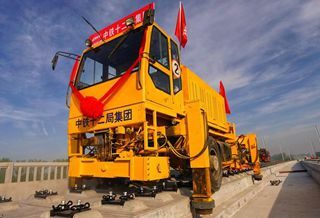 From tariff cuts to removing access restrictions on foreign investment in various sectors, China has sped up in opening up. China's new rules regarding the procedure to approve new Sino-foreign auto joint ventures will take effect on Jan. 10. The streamlined measures will further shift the longstanding practice of checking and ratifying for the administration of auto joint ventures to the management mode of filing for record or registration only. First-tier cities in China are taking the lead when it comes to opening wider to foreign investment. "Shanghai will continue to build a favorable business environment and offer quality services for Shanghai-based companies from home and abroad," said Li Qiang, secretary of Shanghai Municipal Committee of the Communist Party of China, during his meeting with Musk on Monday. China unveiled a shortened negative list for foreign investment, cutting the number of items down to 48 at the moment from 63 in June 2018, which has widened market access for foreign investment in primary, secondary as well as tertiary sectors. German carmaker BMW announced in October last year that it would increase its stake in the joint venture, BMW Brilliance Automotive, in northeastern city of Shenyang, from 50 percent to 75 percent, and extend the cooperation for another 22 years to 2040. Mercedes-Benz Parts Manufacturing & Service Ltd. inaugurated its first factory outside Europe in October 2018 in Lingang Area, the same industrial park as Tesla Shanghai factory is located. Shanghai resident Liu Jiang recalled that he spent 200 yuan on a bicycle when he got married in 1980. Years later, he bought his first car, a Volkswagen, and then a Nissan. Now, his son wants to buy a Tesla.